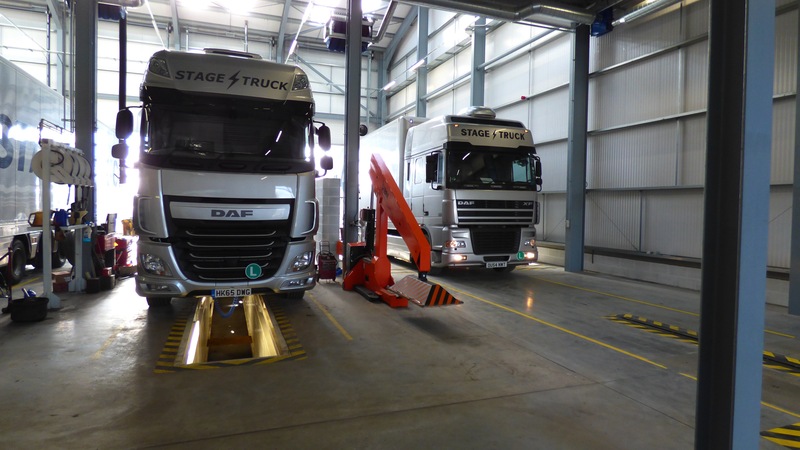 Stagetruck’s new workshop facility is now up and running. Along with its four lanes, each with its own pit, there is an ATF lane currently operating 3 days a week, which keeps all of our vehicles in MOT. In addition we can offer our ATF facilities to local operators in Basingstoke, Winchester and the surrounding areas. Tests are available for Horse Boxes, Trucks of all sizes and Busses. We are also an authorised tachograph centre with bookings available. To book your commercial vehicle MOT or tachograph calibration, call Pete or Holly on 01962 794509 to book your vehicle in or for more details. 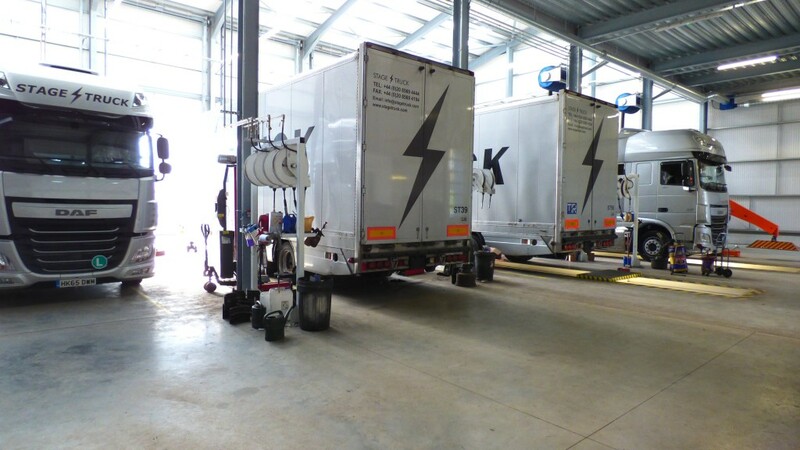 For our fleet, the workshop has all the latest equipment to maintain our vehicles to the standard you would expect, computer diagnostics, tyre changing, truck wash, shot blasting and spay booth facilities to keep the fleet looking its best. The upper floor has conference rooms where we can conduct our training in all aspects of the business and emergency repairs on the vehicles should they arise meaning our drivers have the knowledge required to keep your show on the road. The facility also boasts a large storage area on the top floor for our clients to store their kit between shows and events.